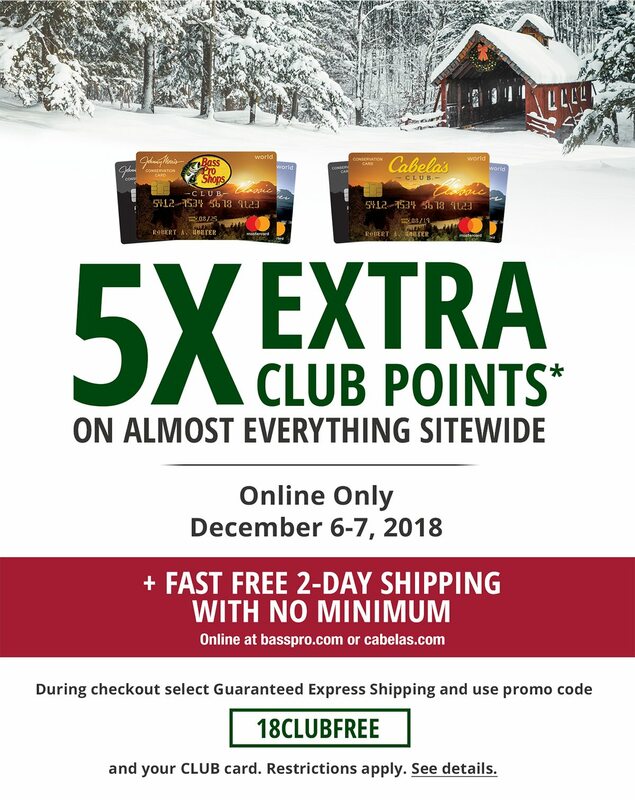 Cabela's Earn 5X Extra CLUB Points With Your Next Online Order! *Purchase must be charged to your Bass Pro Shops or Cabela's CLUB card issued by Capital One Bank (USA), N.A. Offer valid online 12/6/18 at 12:01 am ET through 12/7/18 at 11:59 pm ET or by catalog 12/6/18-12/7/18. The promotional offer will be calculated by multiplying the advertised amount (e.g. 2X) by your usual percentage of CLUB Points earned on Bass Pro Shops and Cabela's purchases (2% for Classic cardholders; 3% for Silver cardholders; 5% for Black cardholders). 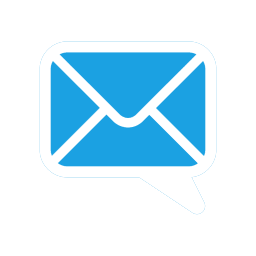 Additional points will appear on your statement within 60 days of the transaction posting date. Prices subject to change and typographical, photographic, and/or descriptive errors subject to correction. Points will not be earned on tax or shipping charges. Offers only available on eligible in-stock, non-backorderable purchases online or through catalog. Offers not valid on firearms and gift cards. Shipping Offer: Must use promotion code: 18CLUBFREE. Free 2-Day delivery on any qualifying merchandise purchase. No minimum purchase required. Valid for U.S. Lower 48 deliverable addresses only, excludes P.O. boxes. Oversized and additional fees may apply. This offer has no cash value and is not transferable. Offer cannot be used on prior purchases. This offer can be used in combination with other promotions. Bass Pro Shops and Cabela's reserves the right to exclude certain products from this promotion. Limited time only. To qualify for free 2-Day Shipping: Orders must be placed before 4:00 pm ET (orders after this time will add 1 day to processing). Qualifying merchandise will upgrade to free 2-Day shipping. Non-qualifying merchandise will receive free standard shipping.